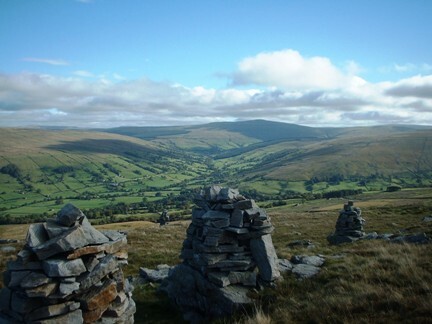 A nice easy walk to the prominent rash of cairns known as the Megger Stones, a good viewpoint for Dentdale. Walk Detail: On each of the walks we had done while staying in Dent I had often seen a prominent collection of cairns on the northern flank of Great Coum. 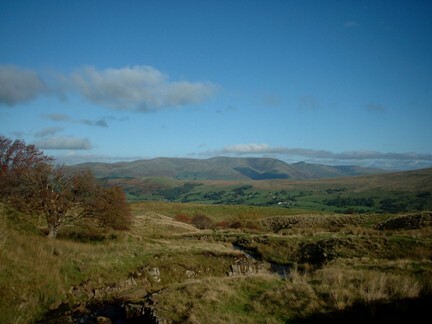 I was eager to go and explore them and had indeed made an abortive attempt to walk up there on my own two days previously when I turned back at the top of Flintergill due to a sudden storm. "The Megger Stones are a collection of cairns built from the large cluster of loose rock that is piled up in the area and which may well have come from a nearby quarry." 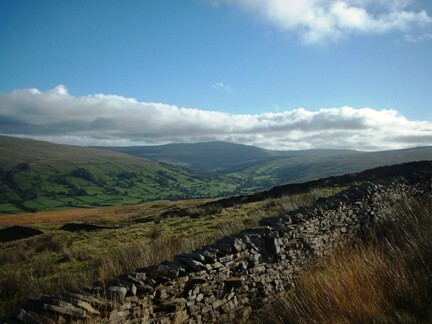 The day after our Whernside walk was also our last full day in Dent so it was my last chance. Luckily the day was as clear and sunny as the previous one. 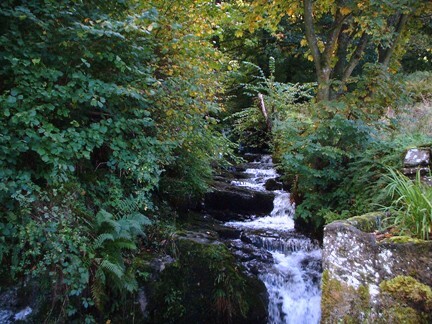 This was my first real walk in the Dales on my own and, funny as it may sound now having walked hundreds of miles on my own in far more remote surroundings, but I initially found the experience slightly unnerving - particularly in the enclosed surroundings of Flintergill. I also found the path up Flintergill quite difficult particularly as the rocky path was quite slippery following the bouts of rain we'd had during the week. 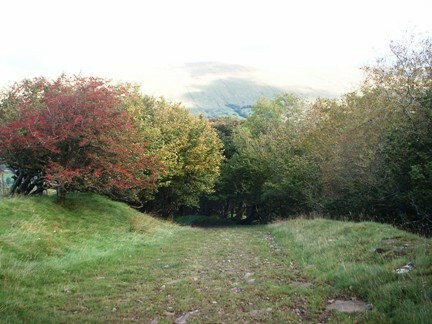 It was something of a relief to get on to Occupation Road and the open fell where my main worry was whether there would be a gate to enable me to cross the wall to access the Megger Stones. I needn’t have worried about this, Wainwright's 'Walks in Limestone Country' which I'd bought a few days before in Sedbergh was very useful in pointing me in the right direction. 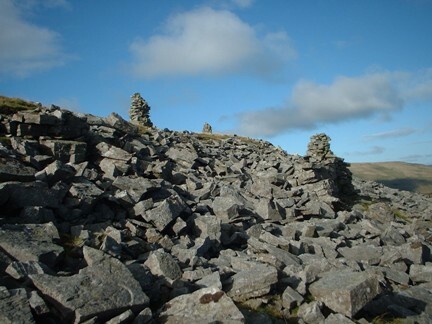 The Megger Stones are a collection of cairns built from the large cluster of loose rock that is piled up in the area and which may well have come from a nearby quarry. From the stones I could clearly see the trig point above on Crag Hill while the view of Dentdale was quite excellent. I was sorely tempted to push on to Great Coum but I’d given Lisa an estimated time I’d be back and I knew I wouldn’t make it if I continued to the top. Still I had achieved my objective and had the added bonus of taking the time to explore Flintergill on my way back down. In doing so I discovered a couple of delightful waterfalls hidden away from the main path.